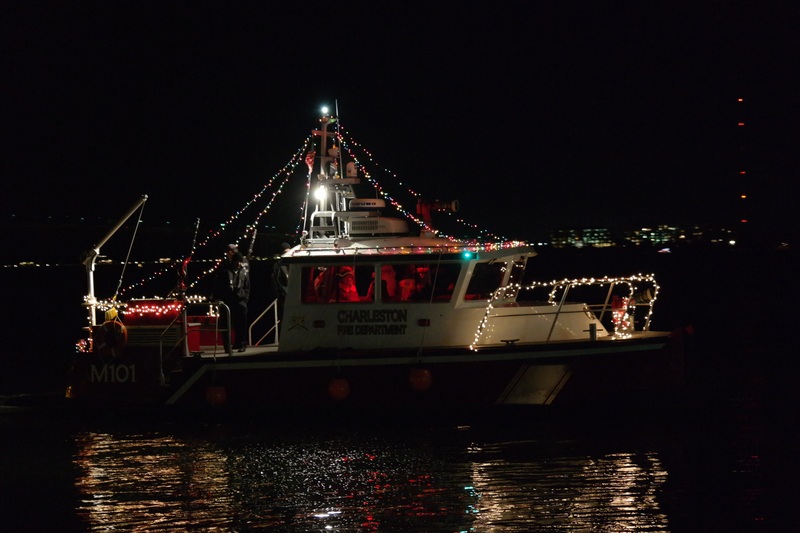 Charleston, S.C.—The 36th Annual Holiday Parade of Boats, produced by the City of Charleston and the Charleston Sail and Power Squadron, was held in Charleston Harbor on Saturday, December 9, 2017. Captains and crews were invited to the Captain’s Party and Awards Ceremony at the Charleston Crab House on James Island on Sunday evening where prizes were awarded to the 1st, 2nd and 3rd place boats in both the power and sail categories, with the best-in-show award going to the highest scoring boat overall. Due to poor weather conditions, there was no 3rd place sail as only 2 sailboats competed.